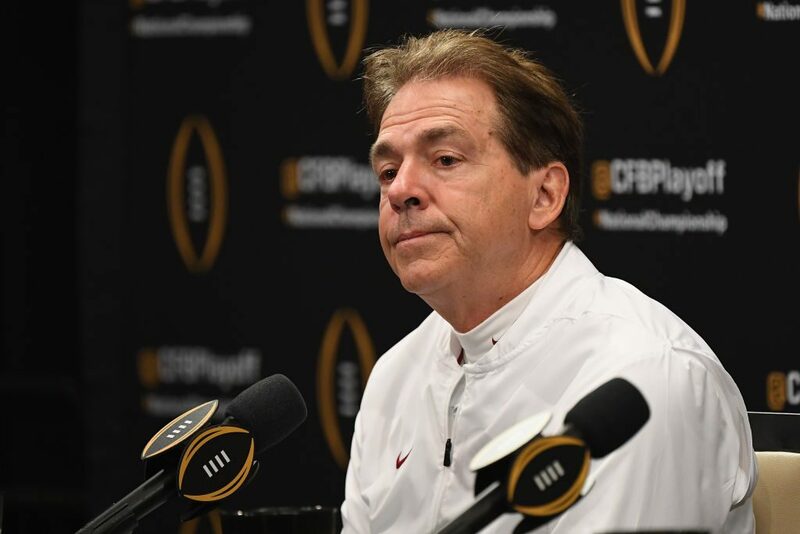 I’m not sure if WHNT News 19’s Chief Meteorologist, Jason Simpson, was intentionally trying to troll Alabama head football coach Nick Saban when he apologized for his incorrect weather report recently, but Saban was trolled, nonetheless. It happened Tuesday morning, when Jason took to his Facebook page to apologize for forecasting a snowstorm that didn’t come. During that apology, he explained to his followers that he only called for the storm because he actually thought it would happen. And if he knew it wasn’t coming, he wouldn’t had forecasted it… Just like Nick Saban stuck with his game plan for the National Championship game against Clemson…because he thought it would get him the win…even though it didn’t. Simpson goes on to say that his incorrect analysis is similar to Saban’s, and it feels similar. 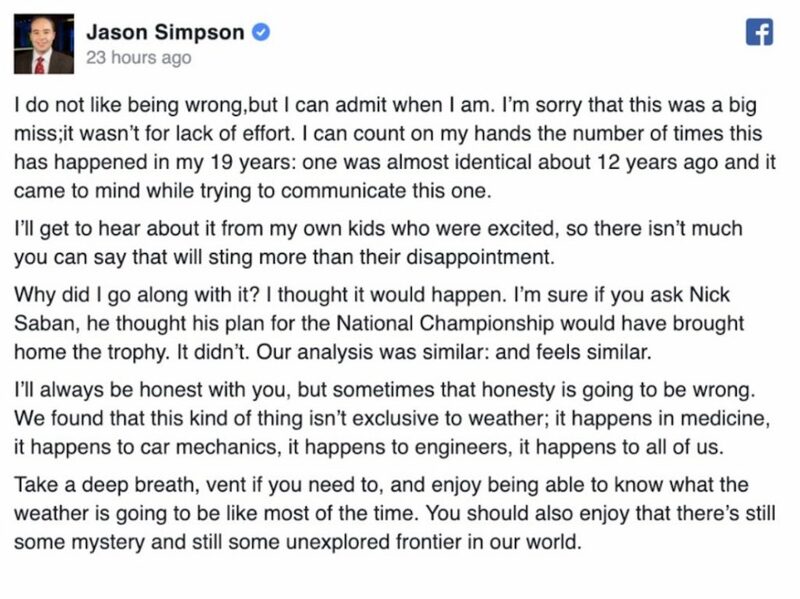 At this point in time, I’m just going to sit back, provide you with Simpson’s statement, and allow you to be the judge. Is he right?